Your team at Woodland Moving and Warehouse knows that the first step to a successful move starts with a successful home sale. 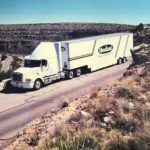 We’re here to help make that happen by providing our unique Storage to Staging service to all of our clients. When staging your home, less really is more. Your home should allow potential buyers to imagine themselves living there. The basics can stay, but many of the unused items should be removed to show off the full potential of your home. Temporary storage is a perfect solution for removing clutter and pairing down on furniture items you’re not ready to give up. 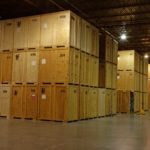 You may wonder, “where can I find storage while I sell my home?” Woodland Moving and Warehouse is here to help! 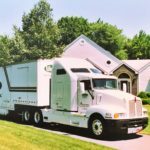 Not only can we provide in-home shuffling of your furniture but we can pack and move excess belongings to our state-of-the-art, climate controlled storage facility in West Hartford, CT, and on to new destinations upon completion of the home sale. During the intermediate period between selling your home and being able to move into your new one, you want to ensure your items are taken care of. Our warehouses are monitored 24 hours a day, so you can rest easy knowing your belongings are always safe and secure. Access to our storage facility is strictly controlled, and we carefully track all ingoing and outgoing traffic. You can trust us for household goods storage while you sell your home. Here are some tips to help you stage your home for a quick and successful sale! Remove clutter, knickknacks and other personal items you’ve been storing in your home. You might have quite an accumulation of things over the years, from pictures, books, accessories, small appliances, toys, pet gear, and hobby materials… The piles can seem endless. It’s the perfect time to go through and sort your kitchen cabinets and drawers, hall and bedroom closets, and sort through books on your bookshelves. You may also want to take stock of table top items, or nightstand and dresser contents. A bit of effort now can create so much more space and it can make your home feel cleaner and bigger, which is what new buyers will be looking for. Remember you will be moving anyway, so now is the perfect time to decide what you want to store away or donate. If you require storage for these items while you sell your home, we can keep them safe and secure in our storage facility! Edit your furniture and rearrange. If your rooms are crowded, consider putting larger and more unique pieces of furniture in storage while you sell your home. This will open up space and make your home look larger. Make sure nothing is obscuring buyers’ eyes from focal points, such as fireplaces and views. Edit and rearrange furniture placement to enhance the features of each room. You can trust us to keep any extra furniture safe in storage while you sell your home. Make sure each room has a defined purpose. Make sure every room is arranged to demonstrate what the space is to be used for. If a bedroom was being used as a storage room, turn it back into a bedroom. If you’ve turned your dining room into an office, return it to dining room. Cosmetic updates and repairs can make all the difference. A fresh coat of neutral paint can really make a dark and dated room look bright and new. Replace light fixtures and cabinet hardware and clean, clean, clean! Wash the windows, clean the cobwebs out of the corners and scrub the grout in the tile floors. This can really make a difference in how the home is presented. Don’t forget the small stuff. Pay attention to details! Adding a new matching towel set in the bathroom, accent pillows on the couch, fresh flowers in the kitchen or crisp new linens on the beds can be welcoming elements to a homebuyer. Spruce up the outside. Don’t forget about the outside of your home. You want to make a good first impression! Paint the front door, add a new doormat and house numbers and change the old mailbox. Spruce up the yard, clear out the dead leaves and debris and put away all the yard tools and kids’ toys. The little things matter here. Make sure your home puts its best foot forward with impressive staging. For all the belongings you can’t keep in your home for the staging process, you can trust our expert storage services while you sell your home. Contact us today at (860) 249-1949 to discuss your storage needs!